In an earlier blog from August 2017, I explored the topic of leaders empowering PLCs. I included in that blog lists from Mindsteps identifying compliant and engaged students and suggested that the same descriptors could apply to PLCs. Follow directions with minimal prompting. Respond to straightforward questions (not deeper critical thinking or questioning). Complete work with no expectation for personal relevance. Pursue own thoughts over assigned tasks at hand. Are fascinated by questions that require teasing out ambiguity and complexity. Take risks, solving problems in a novel way. Seek to make work interesting or disengages. I recall an experience, years ago, working with a school site-based management team. As I explored their working process, I asked them to identify decisions that the principal made after getting input from the team and decisions that the team had made. As we explored the question further and I observed their meetings, I uncovered an unconscious process in place. As topics came up for discussion and members shared their thinking, the principal either allowed the process to work toward consensus or ended the conversation with a “thanks for the input” comment. If there were early signs of consensus and the principal was in agreement with the thinking, the team made the decision. If there was disagreement among the team or the principal was uncomfortable with the direction things were going, the principal thanked folks for the input and made the decision later. I shared that while it was appropriate for decisions to be made by the principal “with input” and “by the group”, the process to be implemented should be identified at the beginning of the discussion. Tracy Skousen, writing on the Partners in Leadership website, addresses the value of focusing on accountability different from responsibility. In Successful Leaders Cultivate Accountable Employees, Craig Hickman reinforces the value of empowering to build accountability. 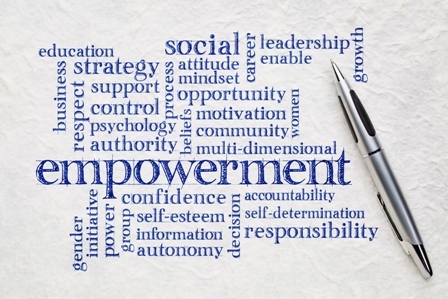 Teachers who can create student ownership of learning outcomes create motivation and investment that deepens and extends learning beyond “getting a grade.” School leaders who empower to create ownership extend a staff’s investment driving toward maximum student learning.